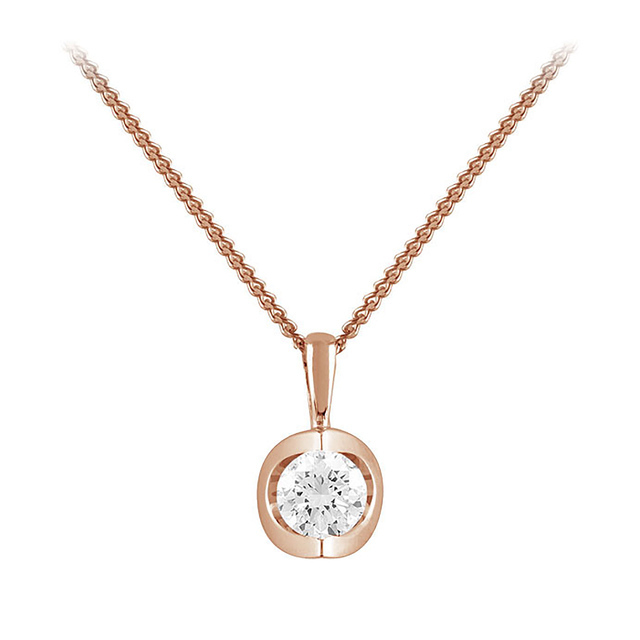 Simple, sophisticated, and endlessly stylish, this 9 Carat Rose Gold Brilliant Cut Canadian Diamond Pendant epitomises effortless elegance and understated-luxe. Featuring dazzling, brilliant cut Canadian diamonds suspended from a timeless 9 carat white gold chain, this necklace is perfect for adding a gentle touch of sparkle and shine to your everyday look. Quietly confident yet refusing to blend in, this luxurious necklace is sure to turn heads wherever you go.